My daughter told me this hat looks silly on me (kids say the darndest things!) but I kind of like it. 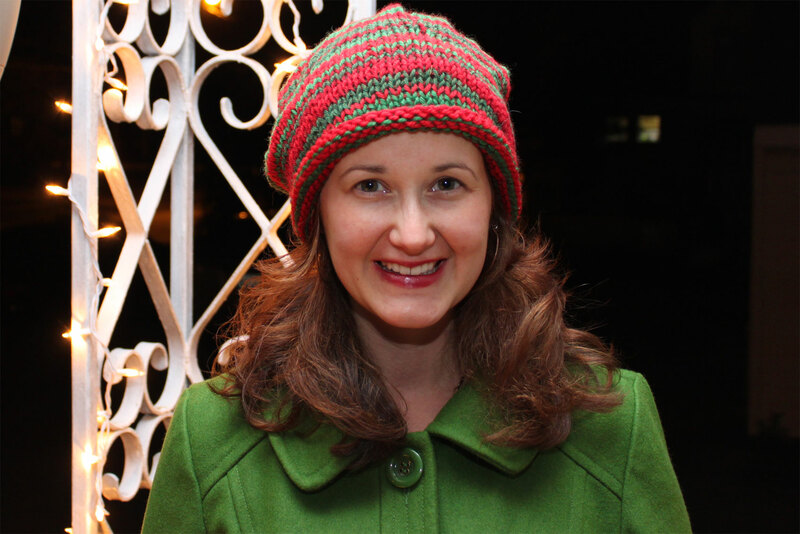 It’s this free pattern, scrap yarn in four different shades of red and green, and it was quick and easy. This was my first knooking project with a lot of color changes and that is clearly a skill I need to work on as the back seam (not shown) looks a bit scraggly. Still, I’m picking up confidence with the knooking and I like my cheerful holiday hat no matter what my five-year-old thinks of it. I did the stripes in a completely random pattern, which got difficult in and of itself after some time. Like wait, if I use three rows of green here does that still look random? I’m not accidentally making a pattern here with two light reds and a dark, am I? Intentionally randomness will drive you nuts after a while–I’m sure there is a lesson in there somewhere. 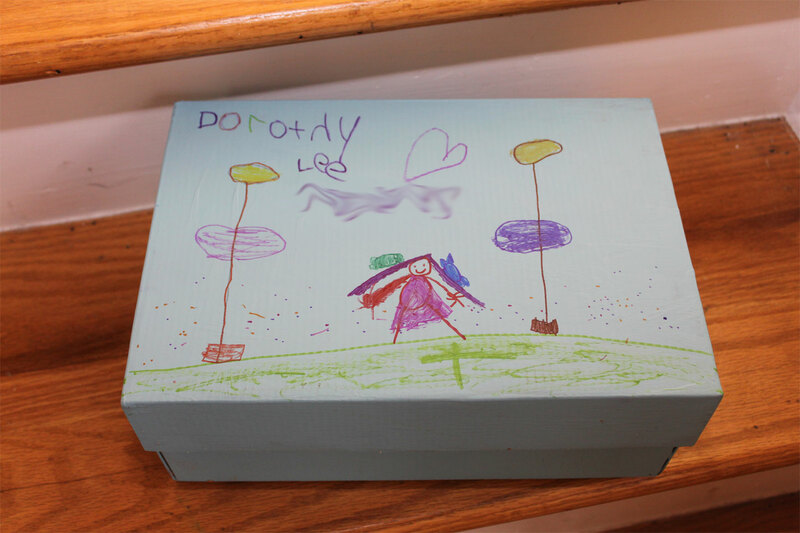 This is a hinged shoe box Dorothy painted. I could get revenge and say I think it looks silly, but really I don’t. I think it looks cute. This is the sort of out-of-the-recycle bin project that can be so satisfying. I needed to keep her entertained in the kitchen at some point a few weeks back so I gave her an empty shoe box and some latex paint. She painted the box quite happily and then forgot about it until I needed to keep her out of the way again a few days ago, so I set her up again with her now dry, painted box and my private stash of Sharpies. (Permanent markers are only for grown-ups around here, except under rarest circumstances.) She was once again happily entertained while she decorated it and now she has a cute treasure box to fill with childhood ephemera and stash on her shelf until it gets stepped on or broken or chewed on by the dog–at which point it will land back in the recycle bin, full circle. That’s really not a bad life cycle for a shoe box.